Frame Work of the bed is made of Round & square tube in two section cushioned top. The body section with legs is mounted on rubber shoes. The leg section is mounted on swivel castors with brakes. The leg section can be completely recessed under the body section supports for legs holders with solid mechanism to fix leg holders at required height & width. The mattress comes in 2 section. It has 2 knee crutches which are adjustable in height & width. 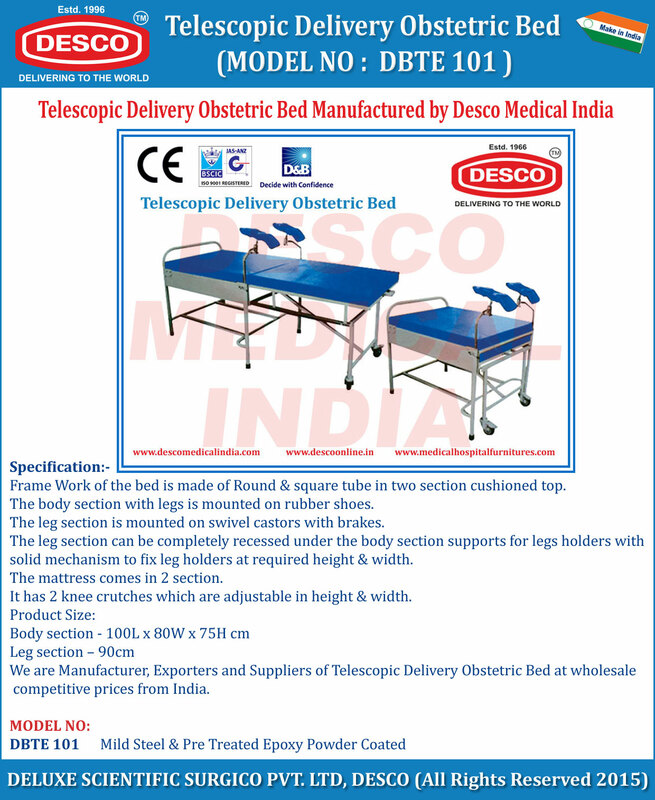 We are Manufacturer, Exporters and Suppliers of Telescopic Delivery Obstetric Bed at wholesale competitive prices from India.